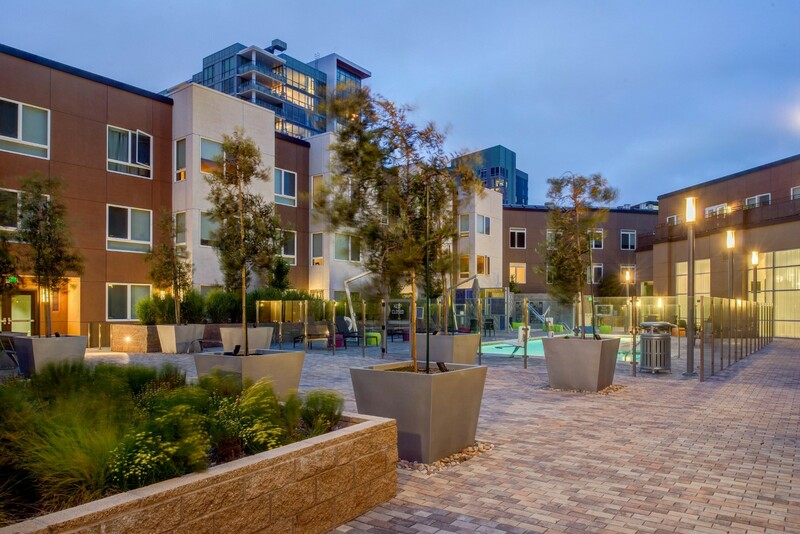 Located in the Mission Bay neighborhood, Blocks 5 & 11—two independent mixed-use communities—offer four-story residential housing over retail and parking. 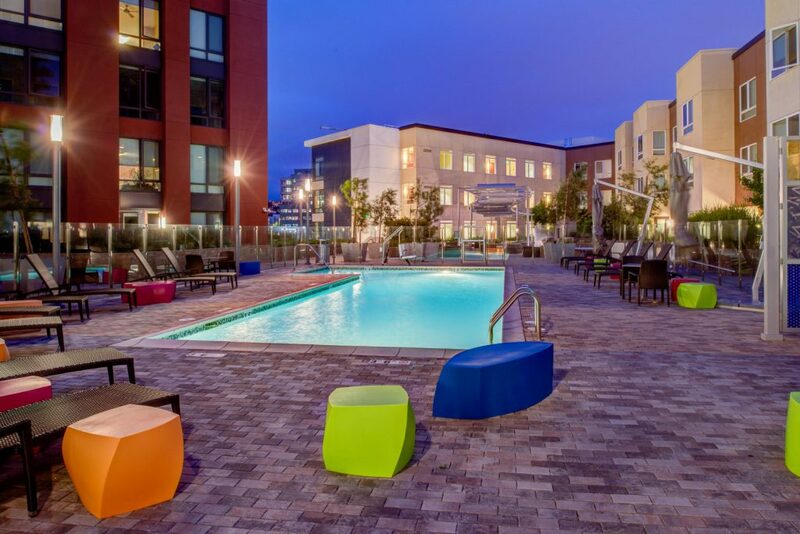 A sunny retail plaza faces 4th Street and individualized frontages with stoops, green walls, and a rich range of materials address the public street. 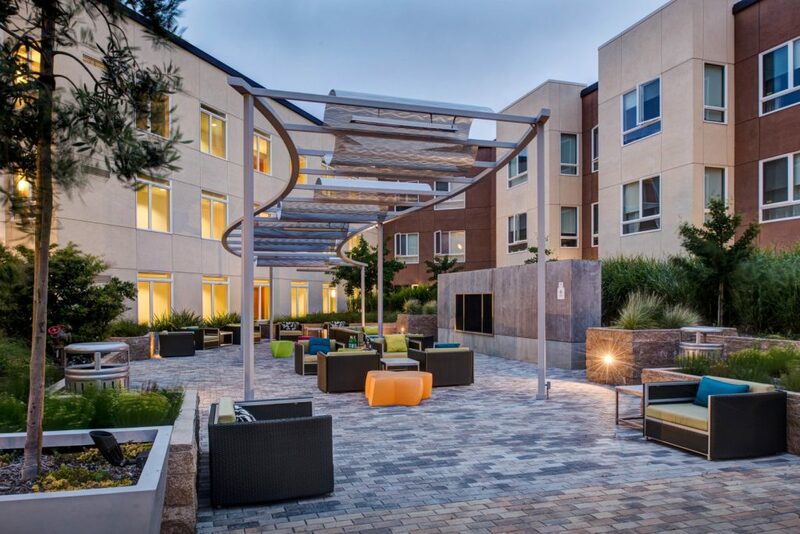 Block 5’s grand stair connects the street level with the podium-level courtyard, while the building’s long street frontage relates to the adjacent Children’s Park. 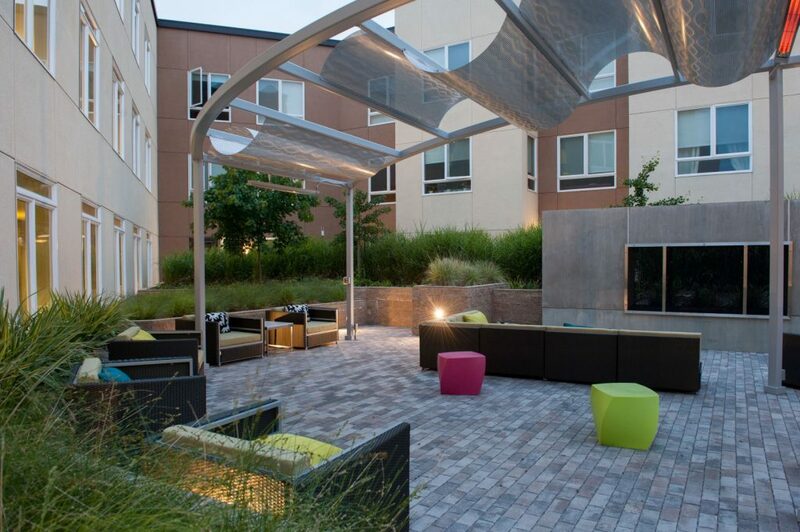 Unit patios overlook sustainable plantings, further linking the project to the park beyond. 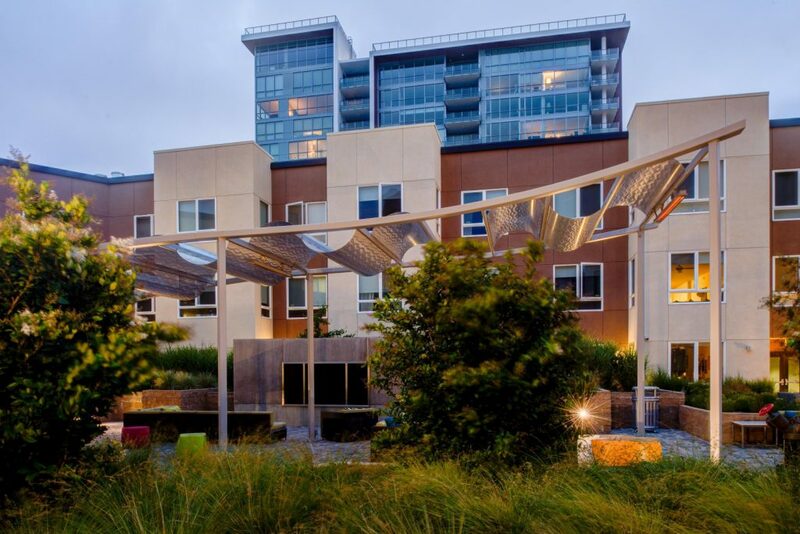 At Block 11, the grand stair and south-facing units overlook the Mission Bay Commons cementing a connection with the surrounding neighborhood. 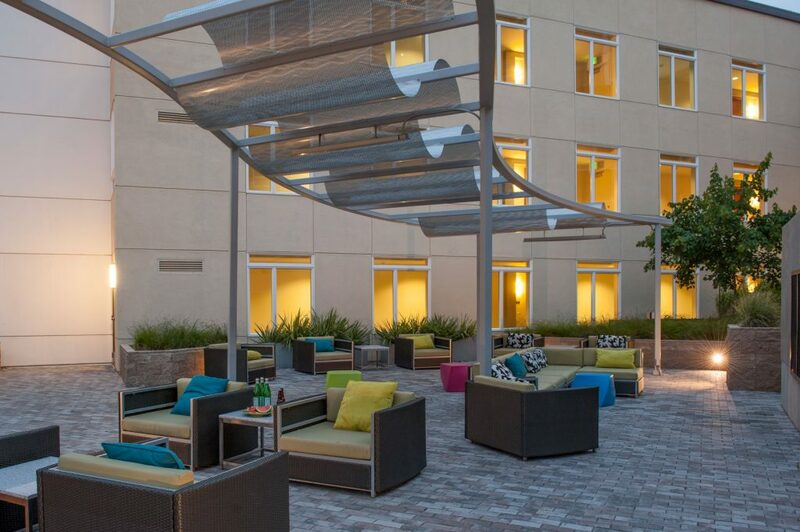 The central courtyard in each community is designed as a social and living hub, rich with inviting amenities. 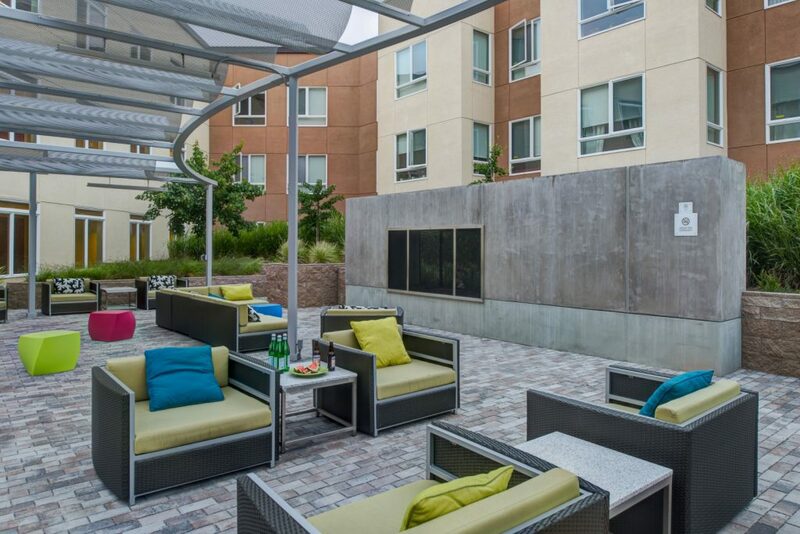 Block 5’s outdoor fireplace is the perfect setting to socialize, along with an outdoor grilling area and relaxing spa. 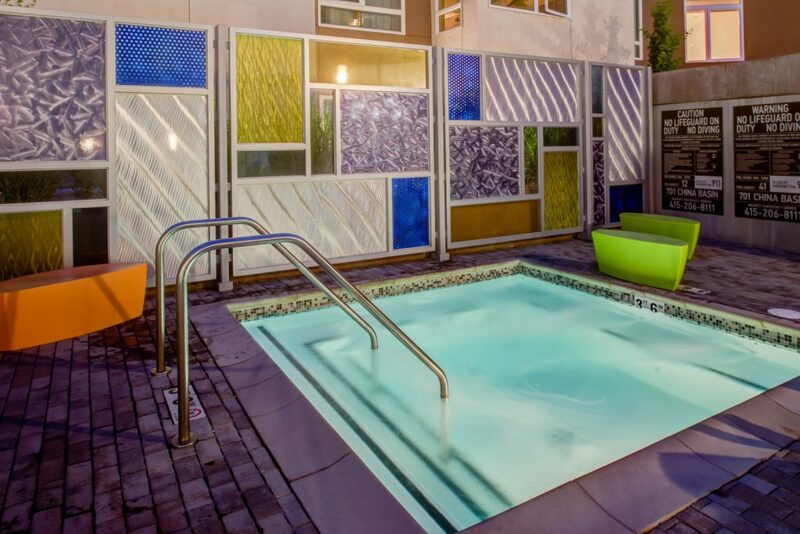 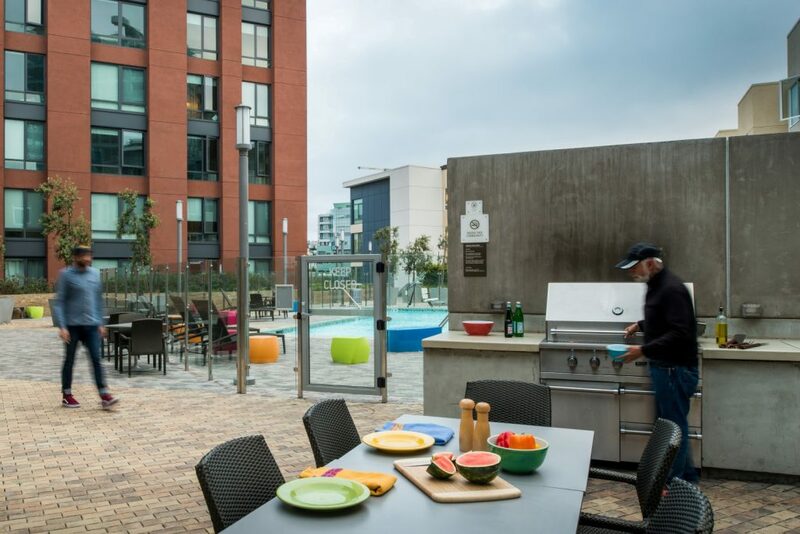 Residents at Block 11 can swim in the pool then gather for dinner at the outdoor dining and kitchen near the community room. 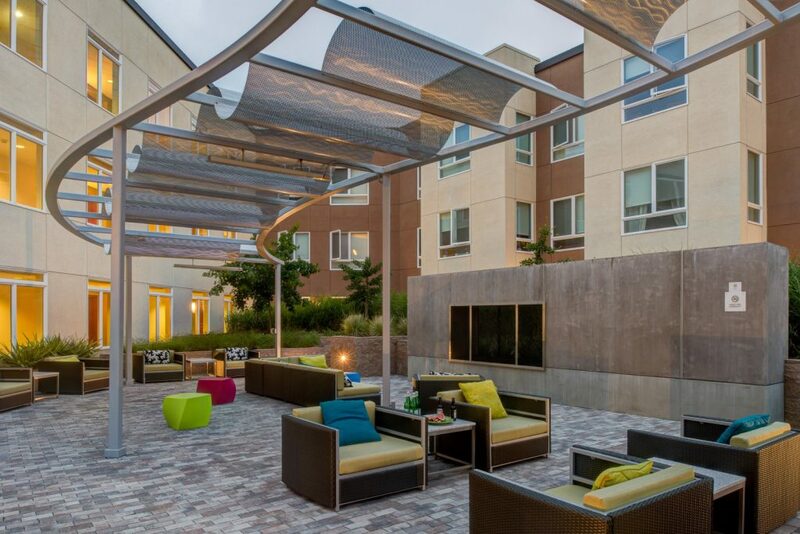 Year-round use of the courtyards is encouraged through the design of custom steel trellises with integrated heating.